Mammut Avalanche Safety: Crested Butte "Beacon Brush Up." 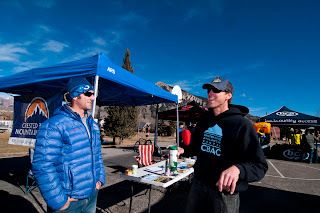 On December 1, 2012, Mammut Ambassador Steve Banks, IFMGA Mountain Guide, attended the first annual Crested Butte "Beacon Brush Up." 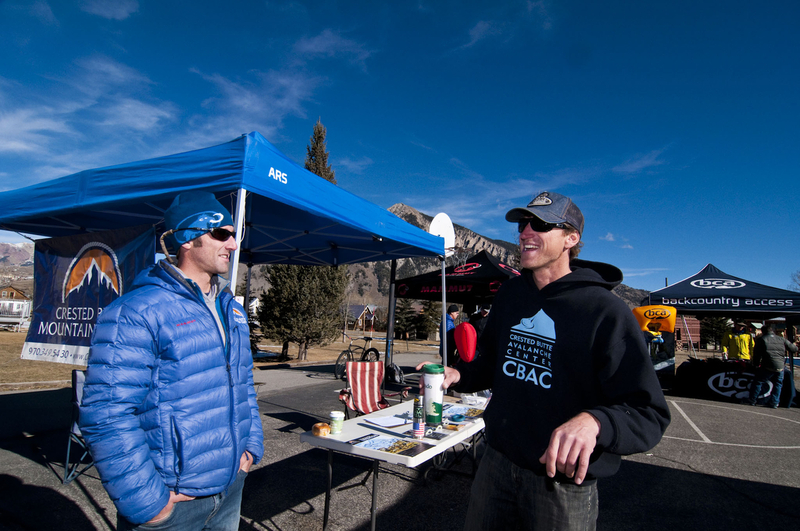 The event was presented by The Crested Butte Avalanche Center (CBAC) in conjunction with Crested Butte Mountain Guides and the Alpineer. The inaugural "Beacon Brush Up" was a huge success with well over 100 local and visiting attendees. Forecasters from the CBAC as well as guides from CBMG were on hand to give beacon instruction to beginners and experienced beacon users alike. While mother nature did not cooperate to produce enough snow in town to hide beacons in, extra boxes from the Alpineer spread across the ball fields with transmitting beacons inside a few created enough of a challenge for the participants to sharpen their skills. In addition to the free practice and training, reps from Mammut, Ortovox, BCA, The North Face, and Peips were on hand to demo their new equipment and show off the latest in avalanche safety gear. Steve Srednick, the Cololrado Mammut rep, was busy all day updating people's beacons to the newest firmware (3.2). When the sun went down, the party started up at the Alpineer. Free food, beer and more information was shared at the local gear shop as people gathered for the raffle drawing. Hats, shovels, probes and even a brand new beacon were raffled off to anyone who showed up to participate in the beacon training. Anyone who wasn't lucky enough to win the drawing was still offered the opportunity to purchase any and all avalanche safety gear in the store at an incredible 15% off retail price! With such great success in its first year, this is destined to become an annual event in Crested Butte, and will surely evolve into a party atmosphere CB is know for hosting.